This month's Community Art Star is Leonie Eckstein. If you've visited the ArtStarts Gallery over the past couple of months, chances are you've been warmly greeted by Leonie. 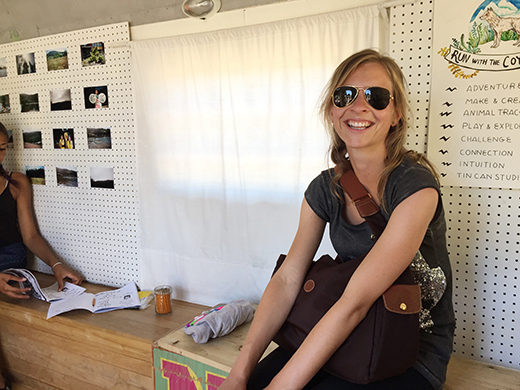 Visiting from Germany, Leonie joined us for a three-month internship. We asked her to share a little about herself and her time in Canada. Hi Leonie! Tell us a little about yourself. I am 23 years old and I'm from Germany, near Stuttgart. This year in February, I completed my Bachelor's Degree in Business Management and Sales, majoring in Finance. After that I came to Vancouver to gain some experience in living, studying and working abroad. When I am back in Germany I hope to start my Master's Degree. I am doing a three-month internship at ArtStarts that started in April. What did you learn in your coursework that is relevant to what we do here at ArtStarts? I learned a lot about strong work ethics; being confident and completing independent tasks but still being a part of a team, just like how ArtStarts works. In my studies I did not learn a lot about non-profit organizations and their work. So that it's kind of new for me and it's a great experience to have this chance to be part of a non-profit organization. Why did you choose to do an internship at ArtStarts? When I came here to Vancouver, I wanted to do something totally different from my major. My intention was to join an organization for my personal interests and growth, gaining new work experiences, improving my English skills and meeting new people from all over the world. Because I am really interested in arts and culture, it seemed ArtStarts was the perfect place to realize this. I have never seen an organization like this in Germany. So it's great to have such a unique and interesting organization that reaches out to so many people of different levels: children, teachers, artists and families. I think it's great that you can see that kids can learn with and through art; it's just not something to do or create, it helps with learning how things could work. And how is it so far? I am learning a wide range of things. I've helped in creative tasks, administrative tasks, gallery tasks, etc. The team members are so great and kind, friendly and helpful. Moreover it is fantastic that I can participate and attend the different workshops and events. It's really fun. What are new things that you've learned? I've learned a lot about art. As you know I have a finance and business background so a lot of this is new to me. Especially through the current exhibition, At the Intersection, I have learned a lot about art in education, for example, how you can learn math or biology through the arts. This is awesome! I have also had the chance to improve my English. What are your goals after this internship is over? I would like to somehow connect arts and finance. That's my goal, but I'm not sure if it's going to be difficult to find a similar organization in Germany. It's my dream to connect arts and business management. Being here is helping me in that goal and I've just enjoyed my time here so much. What are your favourite things about Vancouver and the best memory you have up to now from your internship experience? Vancouver is a wonderful city full of different nationalities and characters. I met a lot of new people, especially the ArtStarts team and volunteers. All of them were so kind, helpful, open-minded and warm-hearted. Moreover there are so many beautiful places for hiking, camping or just spending time in the nature, which are so close to Vancouver. At the same time, you can go downtown for shopping and tasting different food and beverages from all over the world. My best memory up to now is that I get the chance to have a great insight into this creative and hard-working non-profit organization with a great team, as well as all the creative tasks I had. 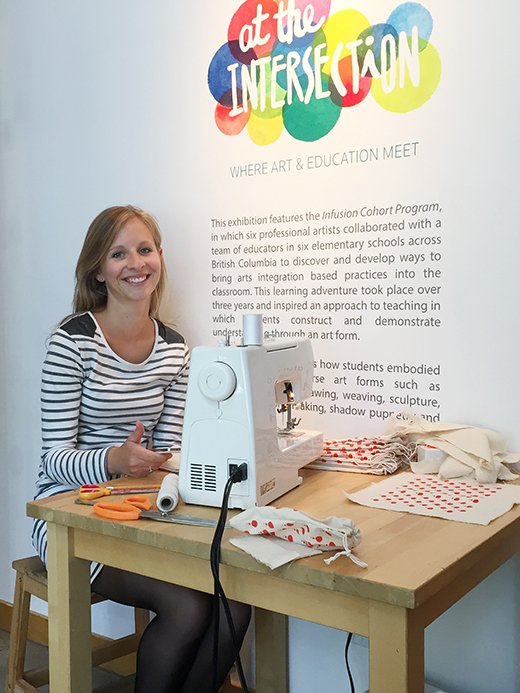 How do you think this internship experience at an arts organization in Vancouver has impacted your life? This internship reinforced my dream to combine arts and business/finance. A big thanks to Leonie from the whole ArtStarts team! We wish you the best of luck with your next adventures.